Comey also remarks that Trump reminded Comey of the mob bosses that he put away during his job as a New York prosecutor. Trump, who is very much the Kylo Ren to Comey’s Rey, is a man who rambles on incoherently, and often lies with impunity. Trump bothers Comey so much that Comey goes so far as to check the internet to see whether Trump has ever laughed in public–the answer is not really, which prompts the diagnosis that Trump suffers from severe insecurity. Trump, for a man of high integrity like Comey, is the fly in the soup, a cockroach in the bowl of cherries. Comey, who values the truth and honesty above all else, bristles in the company of a man who wouldn’t know the truth if it slapped him in his over-tanned joules. I found this book to be very interesting because it is a story about a man who has had very interesting jobs and worked with and for very contemporary public figures (e.g. Juliani, Clinton, Obama, and Trump). 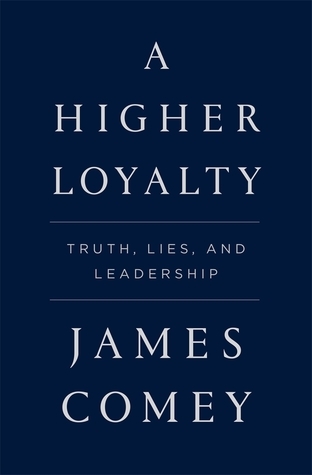 Even though I was expecting a story centered more on Trump’s election and Hilary’s emails (which he also discusses shortly), I was pleasantly surprised that Trump only played a minimal role in the book. If high profile jobs within the American government is interesting to you, then this book full of on-the-job stories will be an entertaining read.